Okay, so you're facing the winter with a furnace that's old and tired. You've tried changing the filter, cleaning the flame sensor, and all the other D-I-Y furnace hacks to get your furnace running - but it's still struggling. Now, you're looking at a major repair or investing in a new system to get your home and freezing family warm again. What do you do? Where do you even begin? How do you know what is the best decision? It can seem overwhelming but it doesn't need to be! With a little information, you can be an educated homeowner who can hone in on exactly what you need out of a furnace repair or replacement bid. Don't go into this decision in crisis mode. 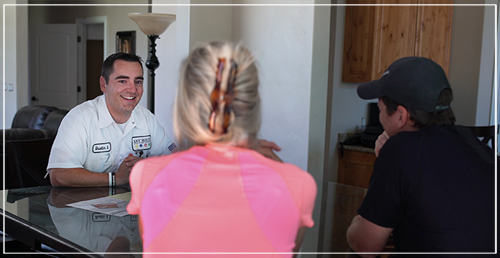 When you start searching for an HVAC company to call, remind yourself that you are in charge. First, take a moment to ask yourself a few questions. What matters to you? What do you want out of your HVAC system? What do you like about it now? Where does your current system fall short? How important are warranties? Is it important to do business with a well-established company that has been around for years? Make sure that you have checked online ratings for any company you call, big or small. Eliminate some of the guesswork out of getting a quality customer service experience by letting the ratings do the talking. Try to find a company with several hundred reviews, the more the better. This will let you see the good and the bad. The more reviews a company has while still maintaining a high satisfaction rating is most likely a good choice. This can help you safely eliminate some of the companies on the list, as well as give you some great options to choose from. Your home and the way you use your heating system in the winter is unique. If an HVAC company offers you a bid over the phone or if the technician comes to your home and casually offers you a quote without doing a thorough inspection, it's time to look for another company. 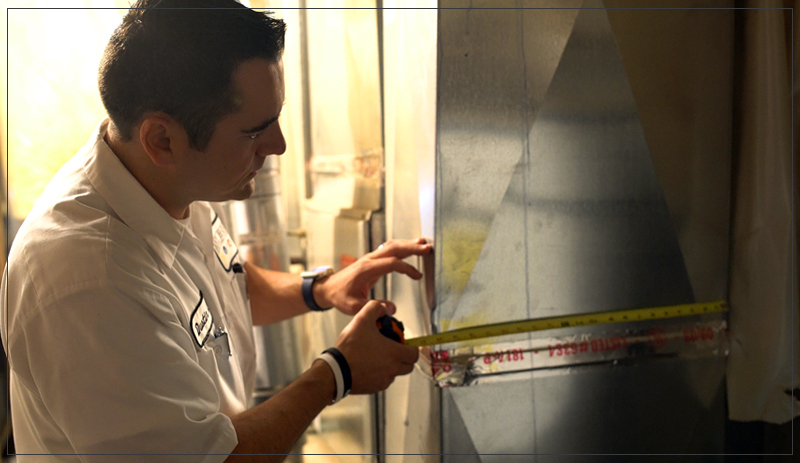 Even though sizing your heating equipment isn't rocket science, it is science. Your technician should use what's called a Manual J load calculation to find out what size (heat input) and capacity (airflow requirement) is best for your home. This calculation takes into account the number of windows and doors you have in your home and whether they are single, double, or triple paned, the number of occupants, the square footage, ceiling heights, insulation quality, ductwork sizing, and leakage - even things like whether your home is covered in brick or siding will make a difference. Buying a furnace that is too big or too small for your needs could result in higher heating costs and premature burn-out of your new furnace. Make sure your technician is taking everything into account when he makes his calculation. If not, chances are good you won't wind up with the right size furnace in your home. 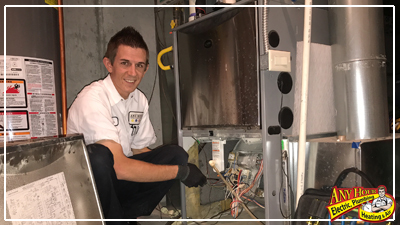 The most important day in the life of a furnace is the day of installation so if you're starting with the wrong furnace, there could be issues for years to come. Next, as part of your bid, good companies will give you a comprehensive quote that includes the unit they feel is right for your home and the cost of installation. Excellent companies will give you a comprehensive quote that not only includes installation but gives you three or four options to choose from - from repair to replacement - in different price ranges. Don't settle for just one option! Many times we don't realize there is a problem with the furnace until it stops working and then you need to call a repairman. If you call a company to your home because your furnace has stopped working and they DO NOT offer repair options, if they go straight to the "you need a new furnace" bit, you may want a second opinion. 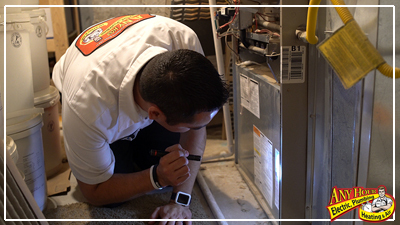 There are lots of different parts that can fail and cause your furnace to stop working and most all of those parts can be replaced. Some parts are more expensive than others and you may still choose to replace it, but you should be given the choice. It's never a bad idea to get a second opinion from a reputable company with professionally-trained HVAC technicians and installers, high customer ratings, and a history of quality craftsmanship and high service standards. The second opinion is less about trying to find a lower price and more about finding a company you trust is going to do a thorough job designing and installing your system, so it will keep you as comfortable as you expect it to. Don't trust this 15-20 year investment to just anyone! Find the company you feel most comfortable doing business with. When you have different companies in your home, don't ignore the way you feel. You can usually tell which one will take better care of you. We hope your furnace lasts for years to come. If you ever need help understanding what options are available, don't hesitate to reach out to us. We'd be happy to help!